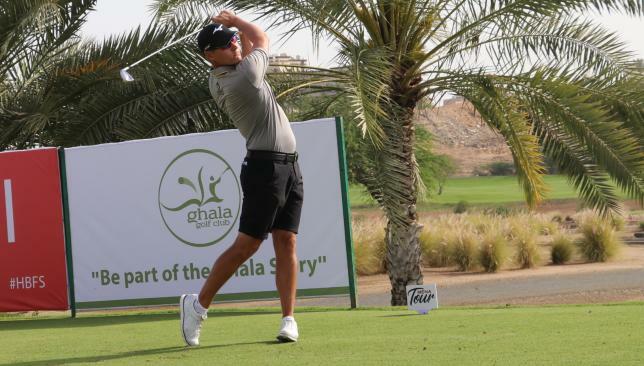 Nick Marsh battled hard in windy conditions and did his scoring as soon as things calmed down to take a two-shot lead going into the final round of the Ghala Golf Club Open on the MENA Tour by Arena on Tuesday. Playing only his second event on the Tour, the 24-year-old Smith parred his way through the front nine, and like in the opening round on Monday, he made five birdies on the back nine to finish on five-under par 67 and 11-under 133 for the first 36 holes. That gave Marsh, looking for his second win as a professional after a very successful amateur career that saw him climb as high as No14 on the World Amateur Golf Rankings, a two-shot advantage over Australia’s Daniel Gaunt (68), winner last week at Al Zorah, and England’s Max Smith (69). Scotland’s Craig Ross shot the day’s best round of 65 to move into a tie for fourth place at 137 alongside his compatriot Jack McDonald (70), Frenchman Robin Roussel (68), Canadian Oliver Tubb (69) and England’s Todd Clements (70). Among the amateurs, Dubai-based 14-year-old Josh Hill shot a brilliant five-under par 67 to enjoy a one-shot lead over England’s Curtis Knipes (70). Hill was at six-under par total. Saudi Arabia’s Saud Al Sharif and England’s Jack Floydd were in third place after identical rounds of 73 and 68 over the first days. The cut was applied at two-over 146 and 54 professionals, along with nine amateurs, have made it to the final round on Wednesday. Marsh, who won the Dawson and Sanderson Classic on the EuroPro Tour in 2017, qualified for the Challenge Tour last year, but lost his card after a forgettable season. Asked what changed on the back nine after making birdies on the 10th, 13th, 15th, 16th and 17th holes, Marsh said: “Well, the wind dropped. And my putts also started to drop. “I made a long putt from almost 35 feet on the 15th, and birdied both the par-5s as well. I hit it quite close and it feels good to have two solid days. I am just going to have the same gameplan, same routine, same warm-up tomorrow, and let’s see where that takes us. It’s just the third competitive event Gaunt is playing after quitting golf for almost 18 months, and he seems to be in a hurry to make up for the lost time. “I am playing well. Almost bogey-free again today except for a three-putt on the eighth, and if I can keep doing the same thing, we might be in with a shot tomorrow,” he said. Twickenham resident Smith continued to take advantage of the par-5s at Ghala Golf Club and is now seven-under on them. “I played really solid. I hit a couple of wild ones, but my short game has saved me. My good has been very good, and my bad has been OK. I have played the par-5s especially well,” said the 27-year-old, who was third in the MENA Tour event in Kuwait in 2017. The tournament, with a prize purse of $75,000, is the third event of the 2019 season and features a full field of 114 players, including 10 amateurs. As part of enhancing the playing opportunity for its members, the champion this week earns an invitation to the Andalucia – Costa del Sol Match Play (May 17-20) on the European Challenge Tour. Richard Bland showed there was no substitute for experience when the former European Tour star charged into joint lead on the opening day of the Ghala Golf Club Open on the MENA Tour by Arena on Monday. In his first start on the MENA Tour and calling himself a “46-year-old rookie”, England’s Bland shot a six-under par 66 to go on top of the leaderboard, where he was later joined by compatriots Nick Marsh and Max Smith. 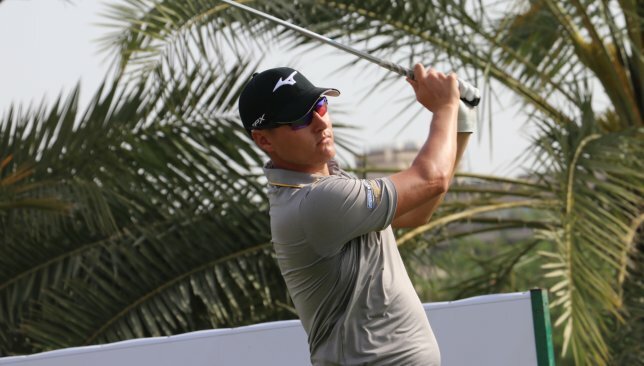 Australia’s Daniel Gaunt, a winner last week at Al Zorah – a result that catapulted him 862 places in the world golf rankings to 1,147 – continued his good form and shot five-under 67. He was in tied fourth place with England’s Todd Clements and Scotland’s Jack McDonald. All three players were bogey-free in their rounds. Among the amateurs, England’s Curtis Knipes led at three-under par 69. Dubai-based 14-year-old Josh Hill was the next best at one-under par 71 with India’s Arkesh Bhatia, Saudi Arabia’s Saud Al Sharif and England’s Jack Floydd on 73. Bland was solid throughout, except for a stretch of three holes where his tee shots abandoned the fairways and found the waste area. One of those holes – the par-4 11th – resulted in his only bogey of the day. Nick Marsh is one of three players leading the way. After playing 14 consecutive seasons on the European Tour, where he recorded 46 top-10s, Bland lost his Tour card last year. “I think 66 is a great start. I definitely felt like I left a couple out there but hopefully, 66 puts me in good position going into the last two rounds,” said Bland, who will be playing the Challenge Tour later this year in an effort to get back his playing rights on the main tour. He also has one eye on the seniors’ circuit for which he will become eligible in four years. “The MENA Tour have been kind enough to give me some invites and I did not have to go through the Qualifying School. It’s a great set-up and playing with a scorecard is much better than sitting back home in the rain. I am grateful to them for the opportunity,” he added. “I am planning to play next week in Dubai and then Bahrain and we will see where we are after that with my schedule. I am 46 now, but I still think I can do something on the European Tour. Just because you’ve had one poor year, you don’t become a bad player overnight. “I also have to look at the bigger picture. I am four years away from 50 and I want to stay competitive when that time comes. Marsh, who lost his Challenge Tour card last year, made early bogeys on the second and sixth, but eight birdies in the round ensured a back nine of 31 in his 66. “I made a three-putt bogey on the second hole and then another bogey on the sixth and gave myself a bit of talking to,” said the 24-year-old Marsh, who rose to world No14 in his amateur days. Six birdies on the back nine were not enough for Rory McIlroy to get close to Dustin Johnson, who won the WGC-Mexico Championship by five shots. McIlroy did his best after making the turn one-over par, but though he made six birdies in seven holes before a bogey on the last, Johnson was every bit as good. 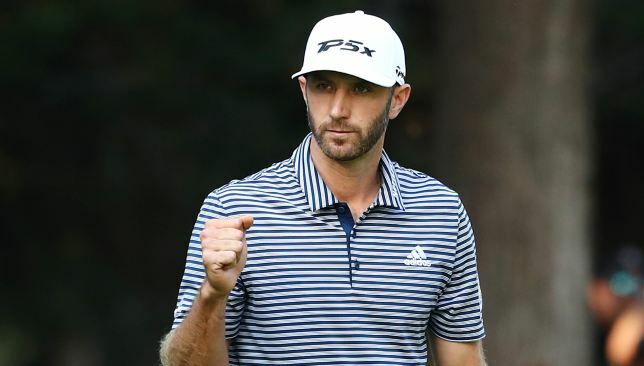 The American recorded five birdies in seven holes in a final-round 66 as he collected his 20th PGA Tour win and sixth World Golf Championship crown. Things started well for McIlroy as he capitalised on an early bogey from Johnson to cut the gap further with a birdie on the second. But dropped shots on the fourth and the sixth cost him momentum and by the time he rediscovered it, Johnson was matching him shot for shot. The pair finished well clear of the rest of the pack, with McIlroy five shots ahead of a three-way share of third place, split between English duo Paul Casey and Ian Poulter, and Thai Kiradech Aphibarnrat. Casey moved up 10 places on the leaderboard with a final round of 65, sparked by four birdies on the opening six holes. Round of the day belonged to Justin Thomas, who carded a nine-under 62, while Tiger Woods had three birdies in a closing round of 69.